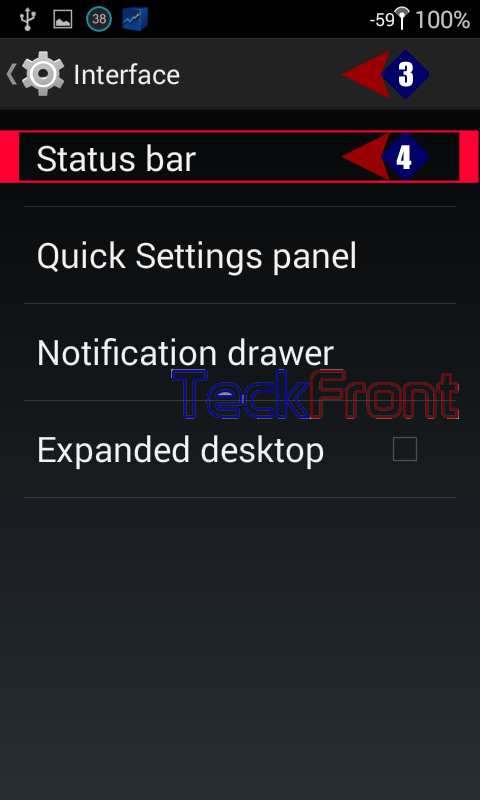 How to Show Clock on Status Bar of Android KitKat 4.4 Phone, Quickly? 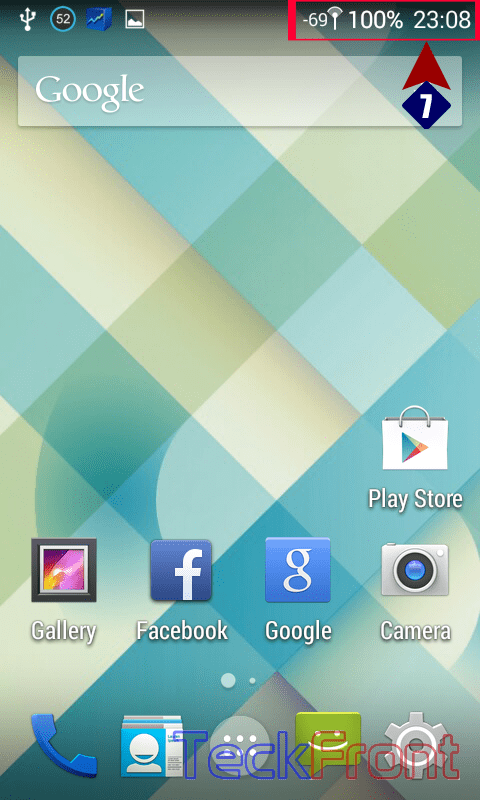 Display of clock in the status bar of Android KitKat 4.4 is set by default. But when users adopts the Clock widget on the Home screen, they do not feel the need to display the clock in the status bar. 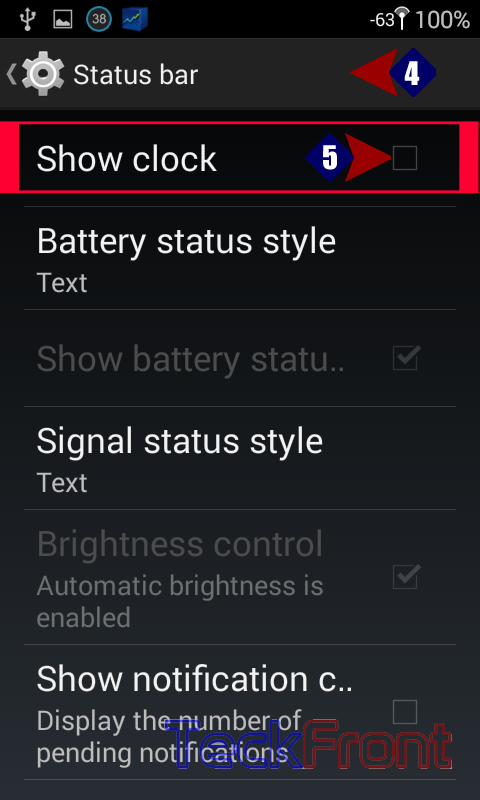 So, users may use the option to disable the clock from status bar. 1: At the ‘Home screen’, see the clock is not displayed in the ‘Status Bar’. 2: Tap the ‘Settings’ to open up. 3: Tap the ‘Interface; under the PERSONALIZATION. 4: In the ‘Interface’ screen, tap the ‘Status Bar’ to open. 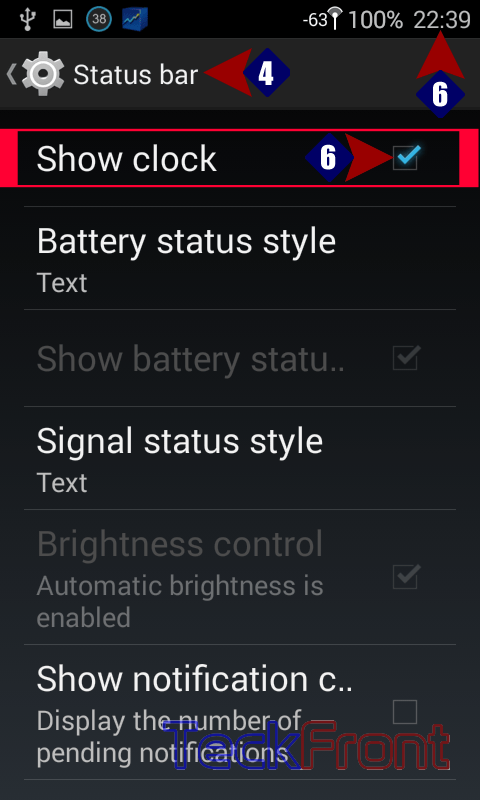 5: In the ‘Status Bar’, see the ‘Show clock’ is unchecked and disabled. 6: Tap the ‘Show clock’ to check and enable it. See the Clock is enabled and displayed, immediately, in the ‘Status Bar’. 7: See the ‘Clock’ is also displayed in the ‘Status Bar’. That’s all! Newer How to Show Battery Status Style in Text in Android KitKat 4.4 Phone? 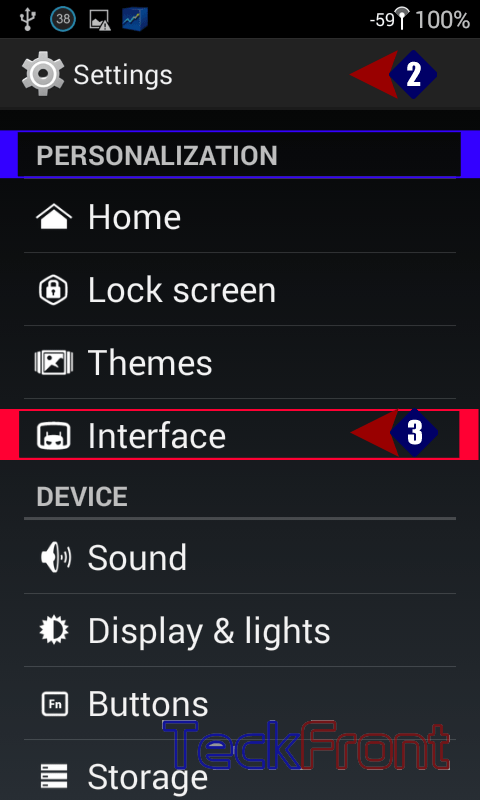 Older How to Set Pictures From Gallery as Wallpaper in Android KitKat 4.4 Phone?